The range of products which we offer to our customers is high on demand in the market for the high quality of raw materials which we use for their manufacture. 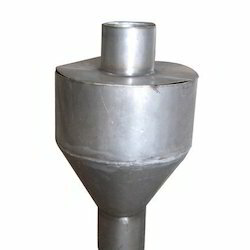 Stainless Steel Mixer Component is fabricated with superior quality raw material that is specially procured from the reliable vendors of the market. We manufacture this product keeping in mind the budgetary constraints and specific requirements of the customers. We are looking for inquiries from South India region like Dravida including Andhra Pradesh, Karnataka, Kerala and Tamil Nadu and cities like Bangalore, Chennai and Hyderabad. Looking for Stainless Steel Mixer Component ?